While all of us eagerly awaits for "11 October 2011" for the launch of most awaited android release " ICE CREAM SANDWICH " . meanwhile a lucky ebay customer claims to buy a early released Ice Cream Sandwich version of Samsung Nexus S, he also show off a video to prove his story. the video posted on Engadget later posted on youtube shows the authentic version of icecream sandwich, the video is a almost complete walkthough of the whole new interface of the release, showing mainly the camera, launcher, widgets, app drawer, notification bar, and the lock screen of the phone. but soon after the video was relesed plenty of users claims it to be fake by showing off how these looks can be achieved by using some lock screen app and a custom rom with few tricks. 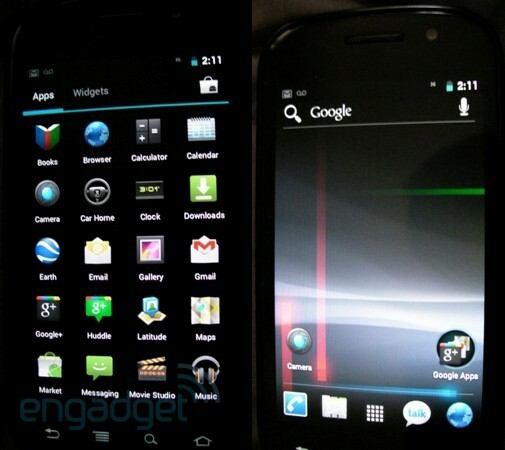 A user on the XDA developers forums has come forward claiming to be the anonymous owner of the Nexus S with Ice Cream Sandwich preinstalled. According to the 20 page (and growing) thread over on XDA, Google has remotely wiped the device. For the last several hours now, the owner has been working with well known developers in an attempt to salvage any useful information still available. No hard evidence has been posted yet, but one developer is saying this is indeed the real deal. JCase, a recognized developer with over 1300 posts, chimed in. If this is to be believed, and there’s a good chance it is, then the video you’ll find below is of the real Ice Cream Sandwich. If any new information becomes available, we’ll be sure to update this post. What do you think, still don’t believe it? Waiting to see some solid proof?